This marks a decisive defeat for the terrorist group which has seen its territory shrink at an exponential rate during 2017. 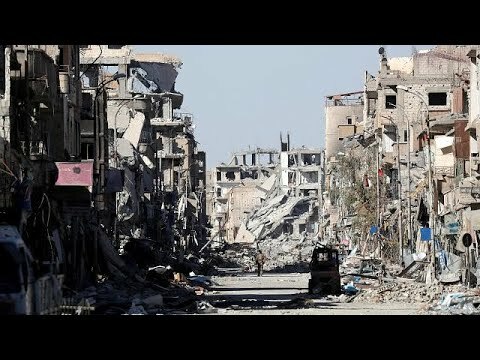 The Syrian Army has declared a total military victory over the Islamic State group in Deir Ezzor city, the provincial capital of Deir Ezzor, an oil rich province that was once a bastion for the militant group. Two months ago, the Syrian Army was able to link with its besieged forces in Deir Ezzor that had been under siege for over 3 years. In those two months, the Syrian Army began a decisive campaign against ISIL militants that caused the terrorist group heavy casualties and funneled them into a handful of neighborhoods. The besieged unit was under the command of the late General Issam Zahreddine, who was able to witness the city’s siege come to an end. “The Syrian Army managed to fully secure the eastern city of Deir Ezzor after expelling ISIS militants from its last neighborhoods inside the city,” a Syrian military official said in a statement. The Russian Center for Reconciliation of the opposing sides in Syria indicated that officers from the Russian Defense Ministry’s International Demining Center cleared 275 explosive devices within the city. “Over the past 24 hours, 25 hectares of the city’s territory and its suburbs have been explored, as well as four kilometers of roads and six buildings. As many as 275 explosive devices have been cleared,” the Center said in a statement. A weapons cache was also discovered in Deir Ezzor city which allegedly overshadows the large weapons cache that was found in Al-Mayadeen. This victory marks a series of defeats for the Islamic State group in Syria who lost their de facto capital of Raqqa, Al-Mayadeen, a major Islamic State group hub, and many towns along the Euphrates River leading to Albukamal. Al-Masdar News reports that the Syrian Army and its allies are within 30 miles of the strategic city of Albukamal, which sits at the Iraqi border. Meanwhile, Iraqi forces have launched an offensive against the Islamic State group on their western border to finally seal the Syrian-Iraqi border.